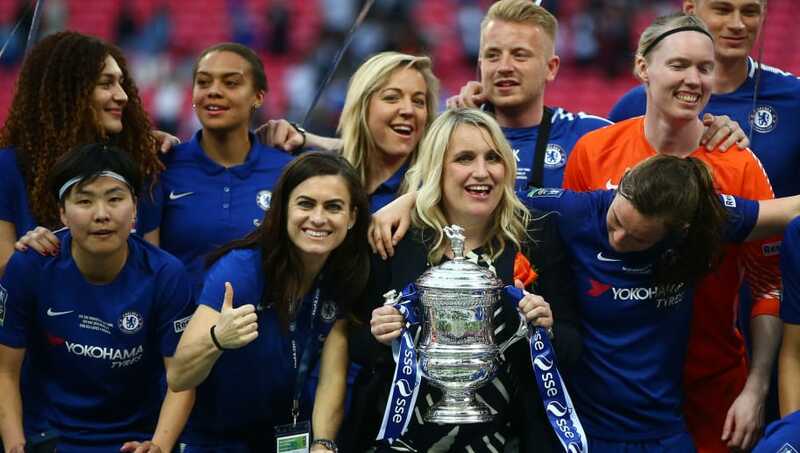 ​Chelsea have been drawn against Arsenal in the fifth round of the Women's FA Cup, with the two sides locking horns in the competition once again in a repeat of 2018's final. The Blues have the home advantage for the tie, and will be looking to book their place in the quarter-finals with a win over Joe Montemurro's side. Other highlights of the draw include Manchester United's recently reformed side hosting fellow Championship team London Bees, and WSL leaders Manchester City travelling to Tottenham Hotspur. Before the fifth round gets under way, there are a series of replays to be settled first - these include fourth-tier minnows Keynsham Town vs Reading, Yeovil Town vs Birmingham City, and Liverpool vs MK Dons. The competition, which has been ran under various names since the 1970s, has become more popular year upon year - with a bumper crowd of over 45,000 taking in last year's final at Wembley, and a further 1.6 millions viewers tuning in at home. To put this sensation growth in perspective, less than 5000 people attended the final in 2013. Arsenal have won the competition a record 14 times, and will certainly be out for the revenge against the Blues this time around, who powered to a 3-1 win in last year's final - with Fran Kirby's stunning finish putting the icing on the cake for Emma Hayes' side.